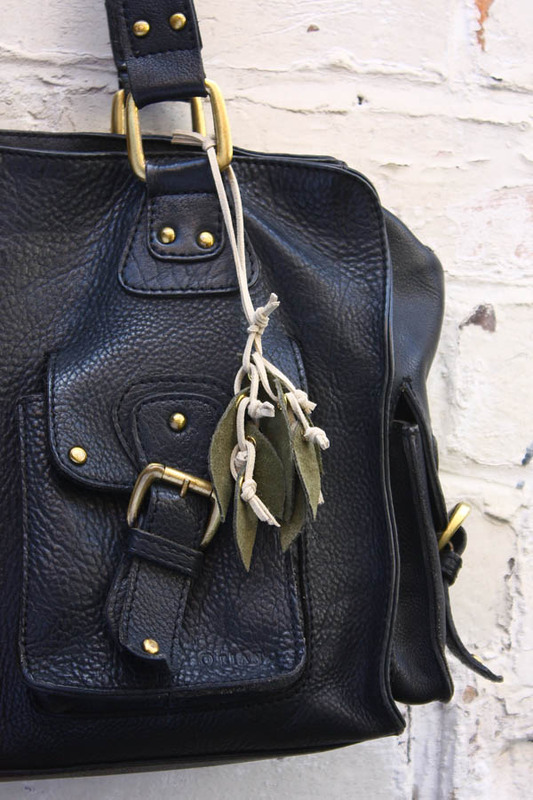 Make the perfect autumn bag charm using leather or suede offcuts to create cascade of falling leaves! Using metal eyelets adds a luxurious touch. 1. 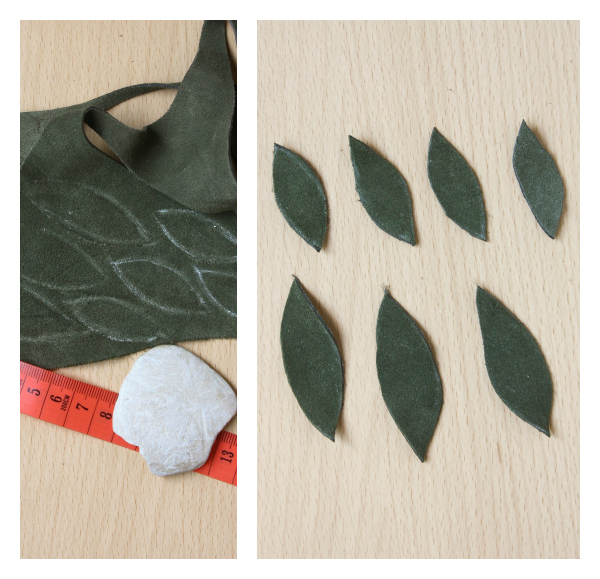 Draw some leaf shapes onto your leather using tailors chalk or a pen. You want 3 larger ones measuring 6cm by 2cm, and 4 smaller, measuring 4cm by 1.5cm, and cut them out. 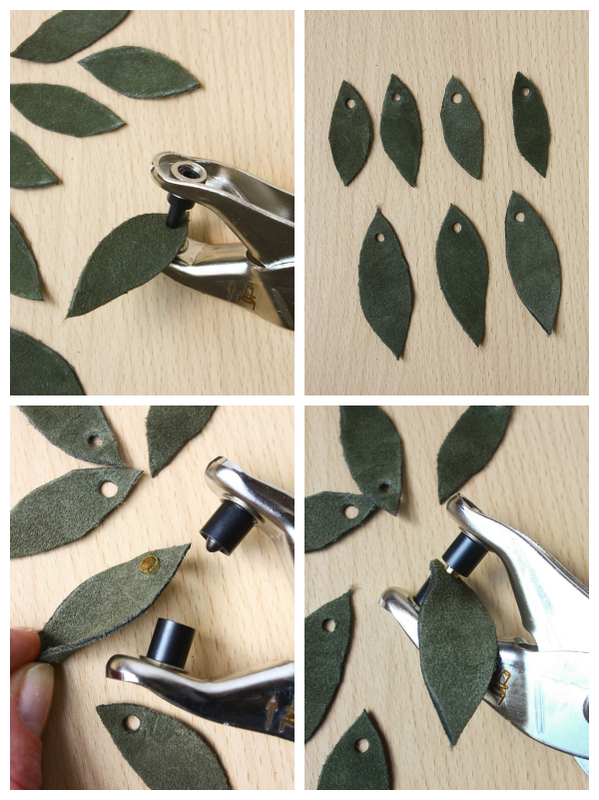 2.Punch holes in the leaves, then set your eyelets. Make sure you use pliers or a setting tool suitable for the eyelets. 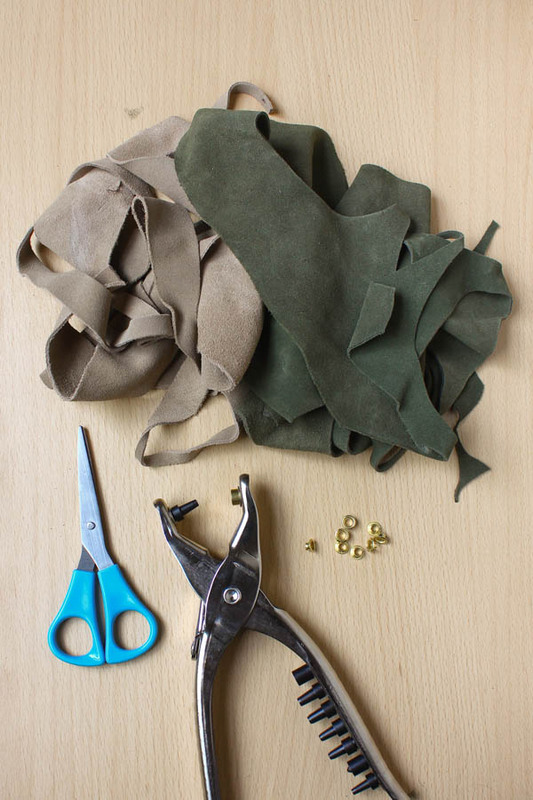 3.Cut 7 15cm/6in length of the leather cord (or cut thin strips from your leather offcut). Thread a piece through the eyelet of one of the larger leaves and tie the ends in a knot. Attach the other two larger leaves to the loop. 4. 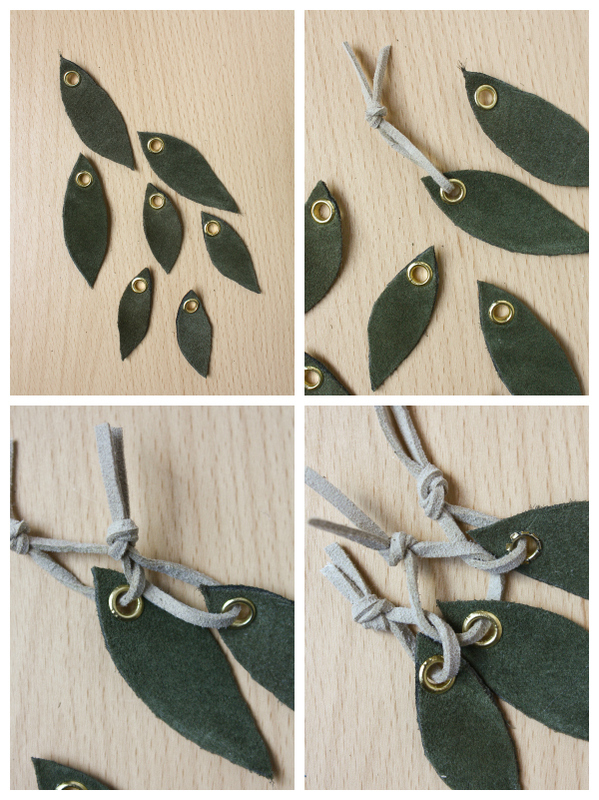 Add two smaller leaves to each side, trim off the tails of cord and attach your charm to your bag using another piece of the cord! I’d love to see your version of this project, so comment below, or message on Twitter, Instagram or Facebook! Happy Making! Oh wow, Great ideas. Very useful blog. I like it. Thanks for sharing great ideas.